I love handmade products and don't even get me started on all purpose products. The more things I can use products for the more I like them. 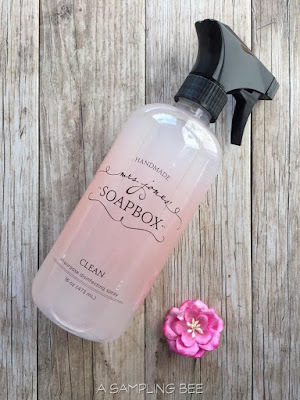 I'll have to check out Mrs. Jones' Soapbox All-purpose Disinfecting Spray! Please check them out, Terri! Great products! I always love household items that are made of natural ingredients, no toxic harmful materials, and preferably cute looking too! I'll have to try Mrs. Jones Soapbox! I am always up for trying something new that has less chemicals in it! I have not heard of this brand I will have to check into it a lot more. Having an all purpose cleaner that won't be harmful to any of the members of your family is always awesome. It's perfect for sensitive skin as well. This is definitely a must try! This sounds like such a nice new cleaning product. I'm glad it worked so well on the grease stains. Those are a pain. I would absolutely love to try this soapbox! It looks amazing - I bet it smells sooo good! Wow, this is a must have in our home. My son also loves to help in cleaning but we won't allow him because of the possible chemical exposure but I'm glad I found this! I haven't used Mrs. Jones products and haven't noticed them where I shop. They sound like great products and I love clean and fresh smells from my cleaning products! I would love to try out this produce! I have heard and seen some on Mrs. Jones and am always willing to try something new! Thank you for posting a great review! Those sound like some awesome products. 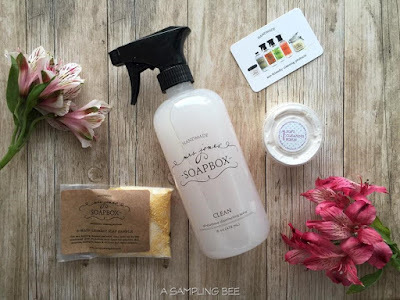 I've heard of soapbox before, but I've never tried them. That clean spray looks like something I could use. I have not heard of this brand before. This sounds like a tough cleaner. I would love to try this. 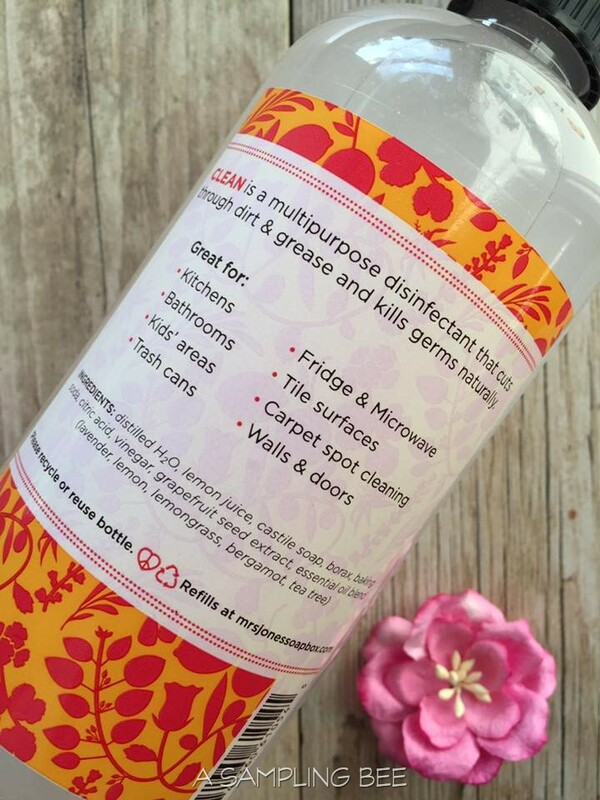 I would always go for cleaning products that will also give me a peace of mind. 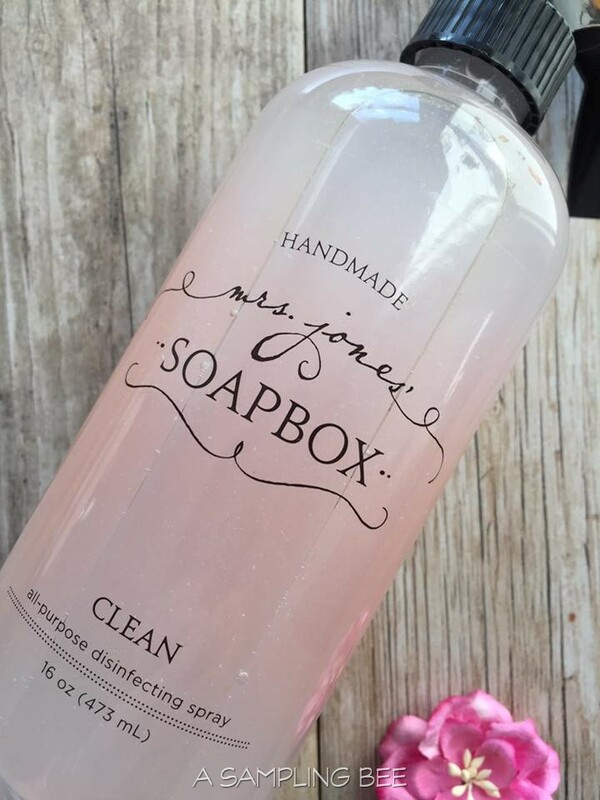 If you're having fun with your kid cleaning with Mrs.Jones products then count me in! This is a really great deal for all purpose soaps. I am going to have to give the site a look.